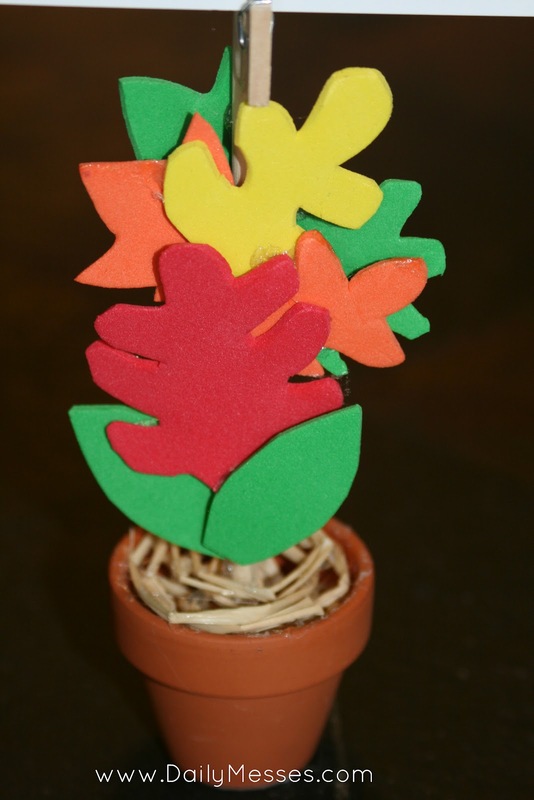 I wanted an easy way to add some Fall colors in the kitchen, so I made a leaf recipe card holder! pot and glued around it. Let dry. 2. 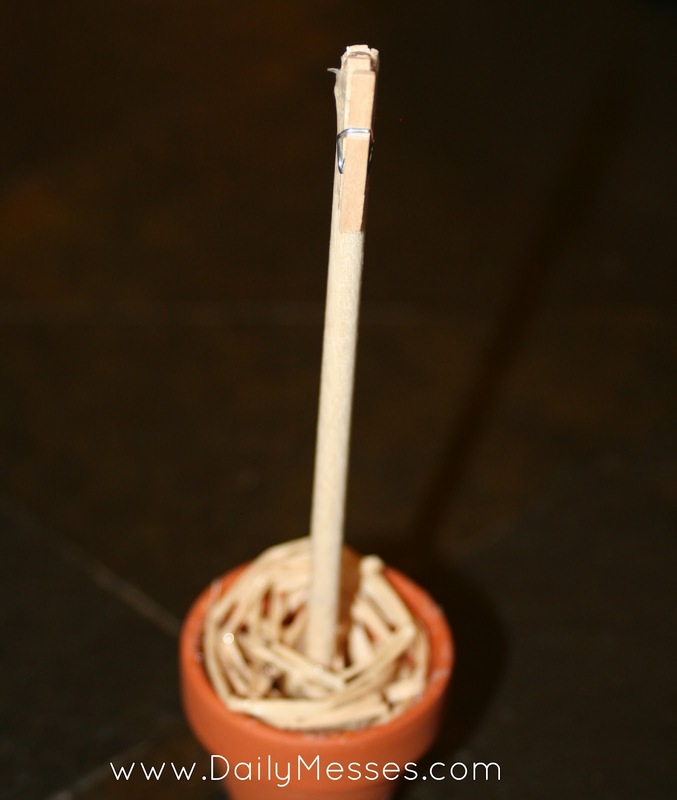 Glue clothespin to the top of the dowel rod. 3. Cut out leaf shapes from the foam sheets. 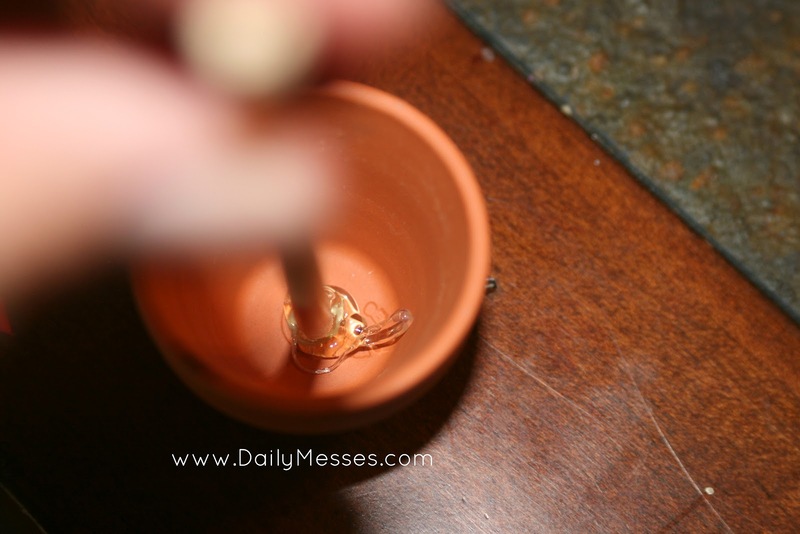 Glue to the dowel rod. 4. 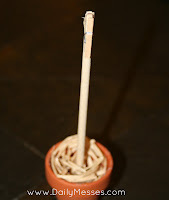 Tie ribbon/twine/raffia around the dowel rod. 5. 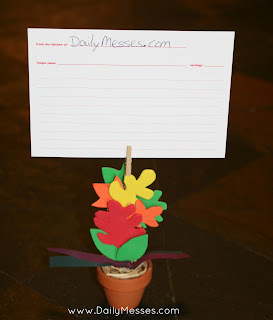 Place a recipe card in the clothespin and enjoy! Optional: I didn't like that I could see the hot glue at the bottom of the pot, so I put some raffia in the pot to cover it up. You could also use some marbles, small pieces of tissue paper, decorative moss, etc. Very cute idea and looks like it's easy to do, thanks for the tutorial. Here from the hop, glad to have stopped by to see what you're making.